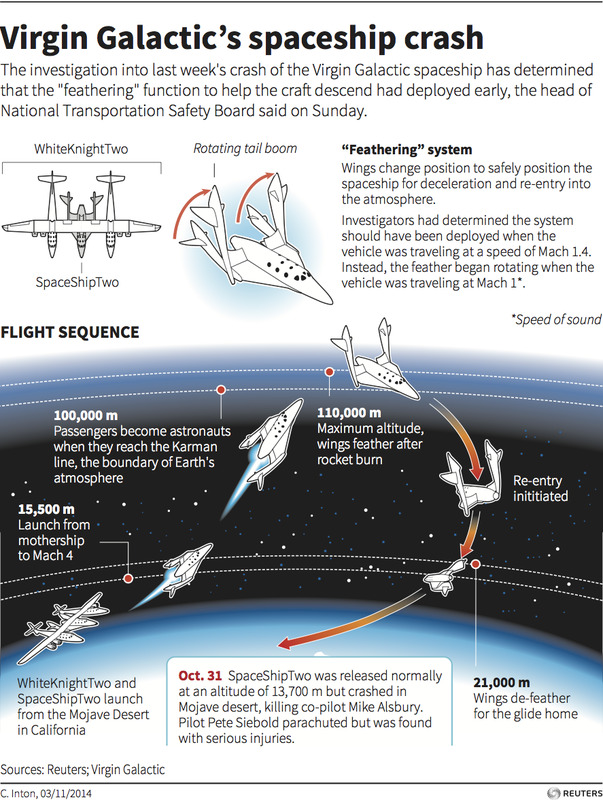 The National Transportation Safety Board has finally determined what caused Virgin Galactic’s SpaceShipTwo to crash into the Mojave Desert last October. Investigators blamed the crash on a premature deployment of the craft’s “feather” air brakes by the co-pilot. Scaled Composites — the company that built SpaceShipTwo — was also faulted for not having the foresight to prevent pilots from engaging the system early. “The feather system, which was designed to pivot the tailboom structures upward to slow the vehicle during reentry into the earth’s atmosphere, was to be unlocked during the boost phase of flight at a speed of 1.4 Mach,” the NTSB wrote in a statement to the press. 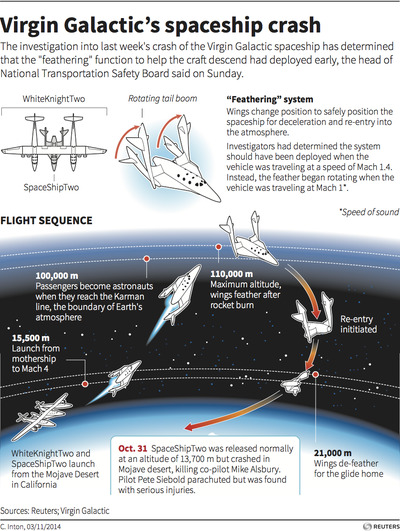 Virgin Galactic’s SpaceShipTwo — designed to bring six fare-paying passengers at a time into low earth orbit — disintegrated over the Mojave Desert on October 31, 2014. Co-pilot Michael Alsbury was killed in the crash while pilot Peter Siebold was seriously injured, but survived. 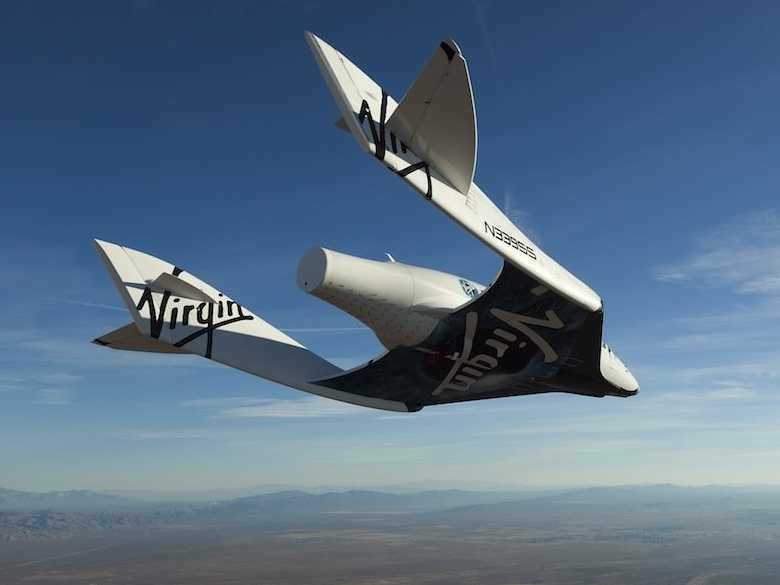 Virgin Galactic is the world’s first commercial spaceline and is the brainchild of Virgin Group founder Richard Branson.